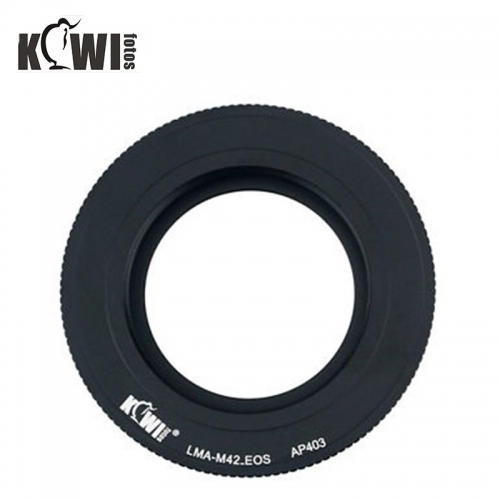 The LMA-M42_EOS lens mount adapter is made of aluminum with silver plated finish. This adapter allows M42 lenses (Zeiss, Pentax, Praktica, Mamiya and Zenit) to be used on Canon body and works with lenses having both only automatic diaphragm(A) and selector A/M (automatic/Manual diaphragm). By using this adapter your M42 lenses can trigger the Focus Confirmation indicator. Focusing can be infinity.